We have analyzed that there is a lot of misunderstanding between each Cisco CCNA Certification and what does it includes amongst networking aspirants. It is imperative to understand each of them to know your choices to start your career with. 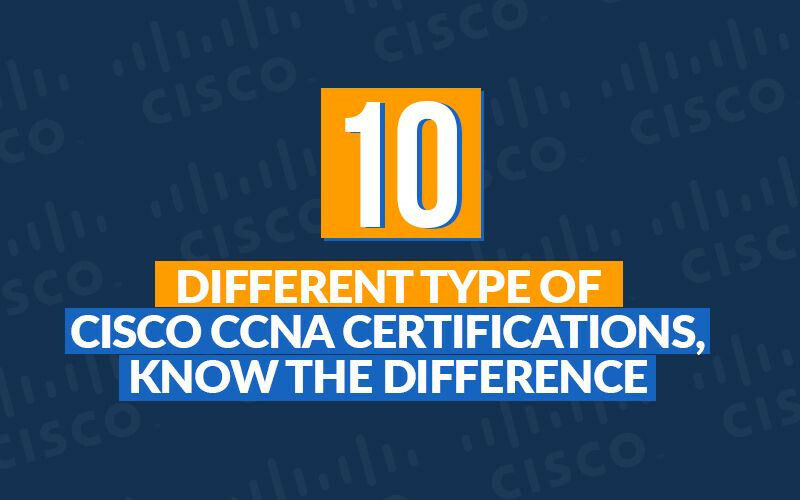 Cisco has divided its Associate level certifications in 10 different domains with 9 CCNA (Cisco Certified Network Associate) and 1 CCDA (Cisco Certified Design Associate) Certification. These certifications are the foundations of each of Cisco networking domain. Clearing their respective examination will make you proficient in these and takes you to the next level CCNP, that is, professional level certifications. Given below is the gist of each CCNA Certification, what does it include, the examinations that you need to take to earn them and their respective prerequisites. With the evolving IT landscape and technology advancement, the demand of skills and techniques from a network engineer is progressing significantly and networking professionals needs to keep their expertise up to date with the same. CCNA Routing and Switching lays the foundations of Cisco Networking and also prepares you with the relevant skillset required to adopt in next gen technologies. Post this certification, networking aspirants can deploy, configure, operate and troubleshoot cisco routers and switches of small enterprise network. Recommended read: What is scope of CCNA? 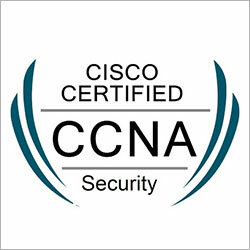 CCNA Security Certification recognizes associate level networking experts who can secure a small enterprise network from external threats and vulnerabilities. They can implement a security infrastructure, recognize the network threats and vulnerabilities and evade them. With this certification, networking professionals have core security skills and knowledge required to install, troubleshoot and monitor the network and its security devices while maintaining the availability, integrity and confidentiality of the data and network. 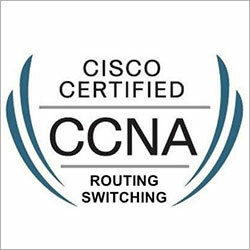 Prerequisites - Any valid Cisco CCENT, CCNA Routing and Switching, or any CCIE certification. With the exponential growth in the wireless technology on all fronts progressively surging the demands of Cisco Wireless Professionals, a workforce of skilled wireless professionals is required that guarantees that this technology is ideally designed, monitored and supported profoundly by accomplishing business results. 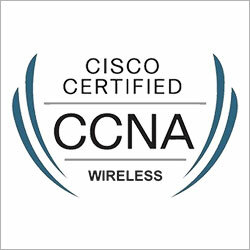 CCNA Wireless Certification is an associate level certification that validates the skillset and knowledge of an individual to configure, implement and support a Cisco wireless LAN. The ecosystems of the company are shifting to more dynamic and robust environment today that is cloud, for agile processes, flexible systems and effective deliver abilities. 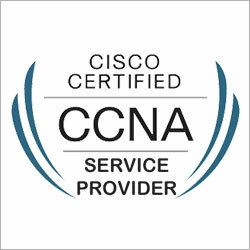 Cisco CCNA Cloud Certification recognizes the skillset of networking professionals in Cloud technology and validates their proficiency to develop, advance and support the cloud of the organization. 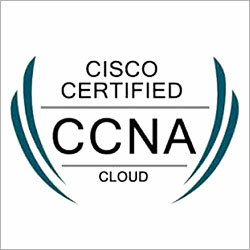 CCNA Cloud Certification helps Cloud engineers, Cloud Administrators, and Network Engineers to obtain the skillset to support Cisco Cloud Solutions and meet the IT demands of the changing technology landscape of the companies. It is of utmost importance to keep up with the evolving trends in the Service Provider Industry core networking technologies and CCNA Service Provider certification emphases on the same. 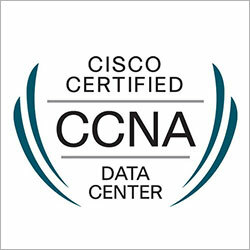 To earn CCNA Service Provider Certification, you must pass the following exam. The shift of data centers from hardware and database-centric roots to automation, cloud, software-defined technologies, and virtualization is profound. With rapid application deployment, flexible infrastructure and insightful agility, the data center is the core digital era. CCNA Data Center helps you gain the grounds on data center infrastructure, concepts and technology and validates you to install, configure, and maintain data center technology. 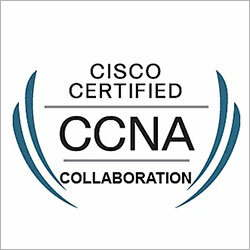 CCNA Collaboration certification validates knowledge and skills of voice and video network engineers to configure and support an enterprise network. This certification helps network video engineers, collaboration engineers, Voice Engineers, IP telephony and IP network engineers in enhancing and developing collaboration and video skills aligned to voice, video and mobile applications. CCNA Industrial Certification validates the essential skills to the candidates to effectively execute and troubleshoot the most well-known industry standard conventions while utilizing best practices required for todays connected networks. This certification training program consolidating theoretic learning with viable lab practice helps the professionals to gain ground on the real world skills, guaranteeing the boost in the present infrastructure while aligning for adaptability to help future business results. 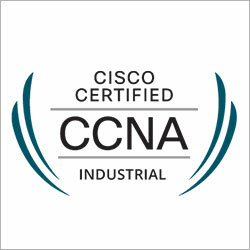 Prerequisites - Industrial Networking Specialist or CCENT or CCNA Routing and Switching, or any valid CCIE certification. 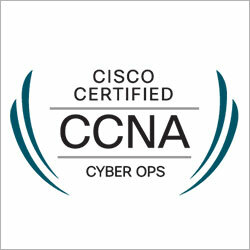 CCNA Cyber Ops is very different from CCNA Security. CCNA Cyber Ops aims at helping the security teams who work at Security Operation Centers (SOC) by giving them a better understanding of Cyber Threats. These professionals watch out for security frameworks, securing the organization’s network by recognizing responding to cyber security threats. This certification helps candidates to prepare for associate level cyber security profiles. 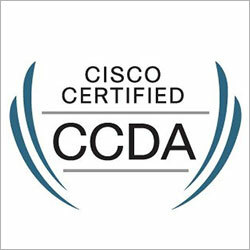 CCDA - Cisco Certified Design Associate - is an associate level Cisco Certification that recognizes professionals who can design an enterprise network with the performance, availability, scalability and flexibility requires a performing, available, and scalable with the flexibility network. This certification validates the updated network designing skills and proficiency of the candidates.